Discussion in 'Blog' started by sinespace, Nov 5, 2018. See what was discussed this week! Adam will be away this week, so Office Hours will resume the week after. Please get in touch with other staff via Discord or send in a support ticket if there is anything urgent. Gamepad support has been fixed from 10b24 viewer and onwards. Inworld Script Editor has been fixed and has some changes - this only works on the preview grid. We have fixed an issue with certain Youtube/videos not playing, and in the process fixed YouTube's HLS implementation. Also, live streaming works on the embeddedvideo component. Obi has been updated. There is a flag in the viewer now to enable Obi cloth physics, which when enabled, replaces PhysX cloth physics. Obi runs a bit slower than PhysX, but can be optimised a lot further. A new tickbox has been added on the item for 'allow inworld editing'. We are also adding a component for more granular control over that for everything. Added 'Slider' UI control to scripting. We now automatically convert Post Stack V1 profiles to Post Stack V2 profiles - the conversion works about 80% of the time right now, we are still working on edge cases which need to be resolved. The new post stack quality is a lot better than the old one in a lot of areas. 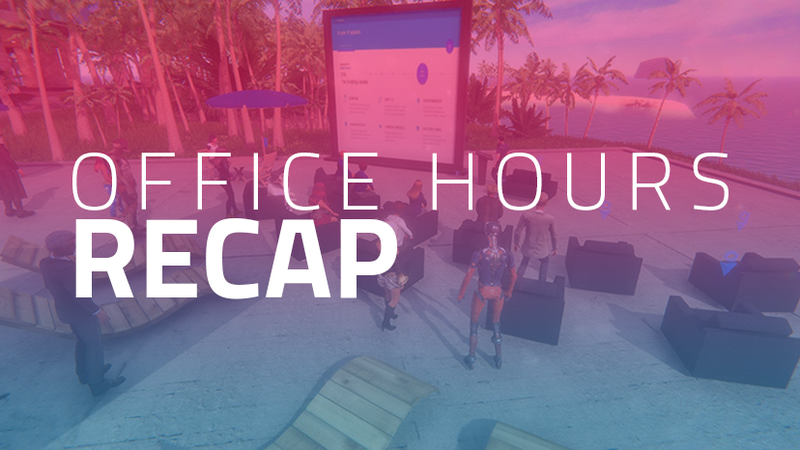 If you'd like to come along and discuss these items in more detail - our weekly technical office hours with our lead developer Adam Frisby is at 6PM UTC/2PM EST/11AM PST every Wednesday.